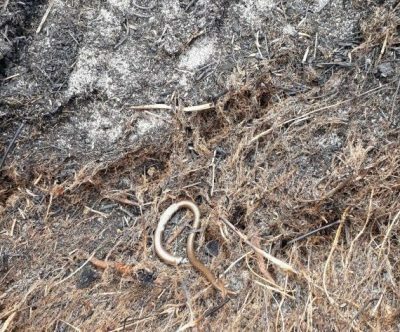 Around 10,000 square metres of precious heath were wiped out by a fire that got out of hand last weekend. 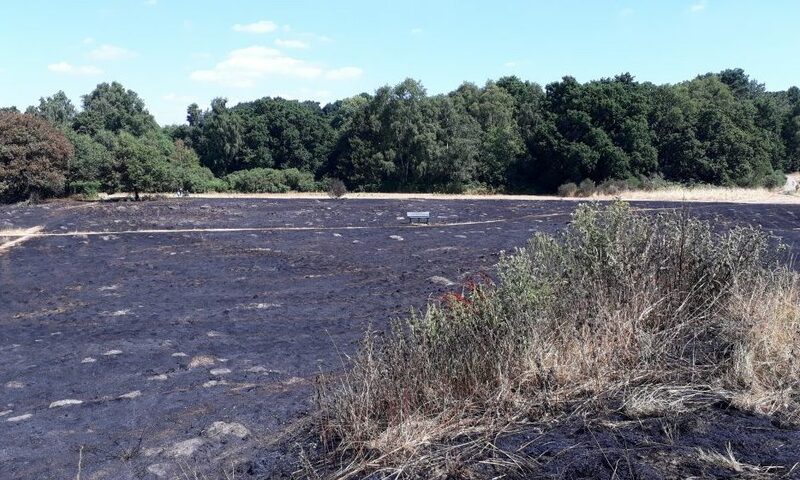 The fire caused devastation near Heath Road East when it got out of control, destroying precious habitat and wildlife, especially butterflies and other insects that depend on the heath’s grasses and heather. Reptiles are very likely to have suffered losses, as did this unfortunate slow worm, found by the Friend’s Chairman, Richard Warton. The public may not be aware that BBQs and other fires are not allowed on the heath, and those responsible can expect to pay a fine, as specified in Petersfield Town Council’s Core Rules of the Heath.